Luke loves taking a sink bath. 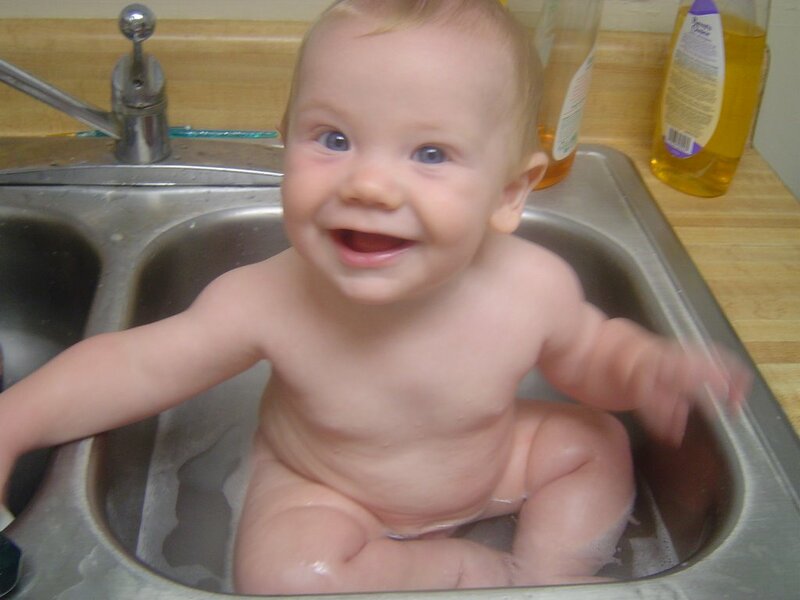 Can’t you tell? 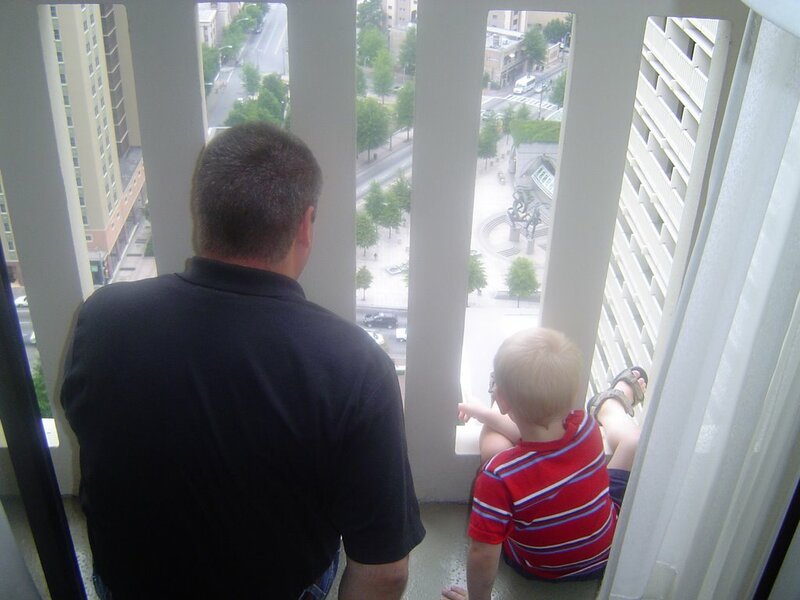 Andrew loved sitting on the balcony edge with his Daddy when in Atlanta last week for our week long stay at the Hyatt. He pointed out every MARTA bus in sight!